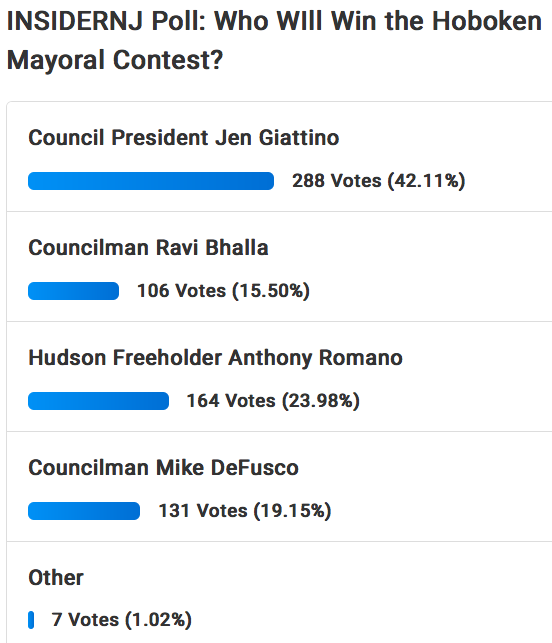 INSIDERNJ posted a poll earlier today asking who will win the Hoboken mayoral election. The results are posted here along with a link for those who wish to vote. While it's unscientific, it's certainly not less scientific than a push poll cited by some previously on behalf of the Bhalla campaign. Which should be a lesson to those who wish to cite push polls as valuable to serve political objectives. 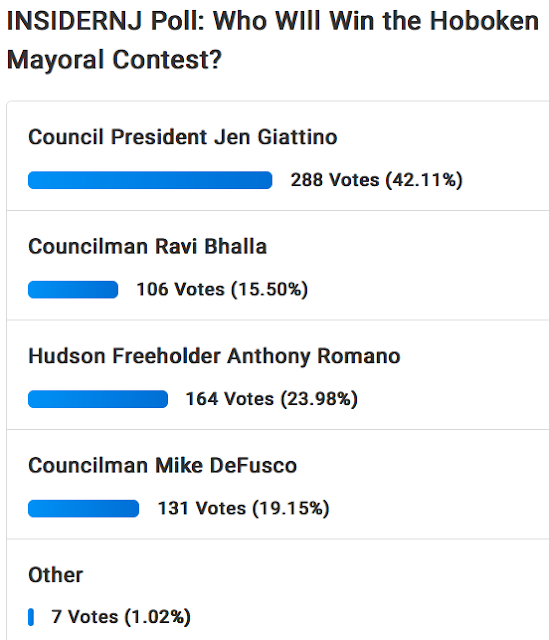 Here's the poll results mid afternoon. It's going to get hijacked by operatives but a snapshot is below.